How can we prevent food from going to waste? According to a study by the Food and Agriculture Organization of the United Nations (FAO), approximately 1.3 billion tons of food produced are lost or wasted annually. Food wastes refer to food products ready for human consumption that are lost or wasted, while food losses refer to food lost during its production, processing or post-harvest stage. This situation has caused many alarming food security problems and environmental challenges, which gave rise to many anti-food waste campaigns. It is a never-ending challenge to most restaurant owners and managers. The foodservice industry, especially restaurants and catering services, has greatly contributed to this crisis as evidenced by the amount of their food wastes that end up in landfills. In order to attract customers, many restaurants apply the “more value for less money” concept by offering larger food portions or what we call “eat-all-you-can” or buffet servings. Despite being effective for restaurants in improving their marketing strategy, this practice usually results in vast amounts of food wastage. It also includes critical issues such as incorrect portioning, food trimmings, spoiled food caused by poor storage and handling, and overproduction due to inaccurate forecasting. Every restaurant and foodservice company performs its own waste reduction procedures correspondingly to increase their revenues and profits, and maintain a positive corporate image. 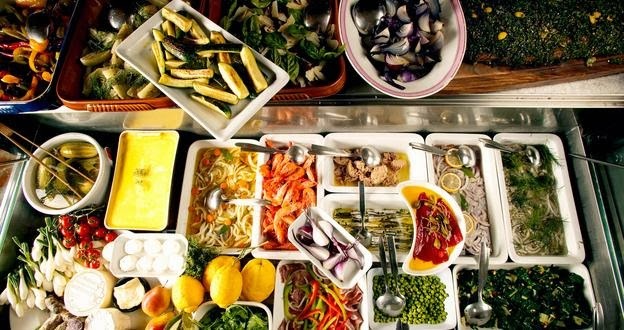 The way to reduce waste is through efficiency, and several businesses are using recipe management software to efficiently reduce as much as half of the total food wastes, Other establishments even offer flexible meal portions in their menus to various types of customers per age groups (e.g. seniors, young adults, kids), groups of people (e.g. families, couples, singles) and the like. GreenNudge, a Norwegian environmental organization recently conducted a study on the effects of plate size reduction. They discovered that by reducing the meal portions, food waste could be reduced by 19.5%. On the other hand, food losses during food preparation can be avoided through proper planning on efficient purchasing, adequate storage of food products, and preparation of reasonable sales forecast. There are many recipe management software which enable restaurants and chefs to easily plan well balanced meals and composed menus for a targeted number of customers any given day and time. Lastly, even an ordinary consumer can prevent spoilage and wastage by limiting the ingredients to what is really needed. With the growing awareness of people around the world, it is the responsibility of the foodservice industry to find ways in preventing or minimizing food wastes and losses with their utmost efforts. Any type of food wastes and losses increases the operational costs (i.e. material and labor costs) while decreases total profits. Playing a major role in a foodservice company’s success or failure, food producers, restaurants and consumers are being educated and encouraged to join forces in trimming down food wastes, saving money, and ultimately protecting people and the environment. Gustavsson, Jenny et. al. “Global Food Losses and Food Waste.” FAO-UN Rural Infrastructure and Agro- Industries Division (AGS). http://www.scribd.com/doc/57854510/Global-Food-Losses-and-Food-Waste-FAO (accessed on October 28, 2013). Behavioral Insights Team. “Reducing Food Waste.” Cabinet Office – Government of UK. http://blogs.cabinetoffice.gov.uk/behavioural-insights-team/2013/04/16/reducing-food-waste/ (accessed on October 29, 2013). Hatz, Diane. “Restaurants.” End Good Wastes Now. http://endfoodwastenow.org/index.php/issues/issues-restaurants (accessed on October 29, 2013). Easen, Nick. "Play your part in the global food crisis." BBC Travel. http://www.bbc.com/travel/blog/20130410-play-your-part-in-the-global-food-crisis (accessed on November 21, 2013). Planning your meals in advance will prevent waste and save money, as you can use ingredients in more than one meal. You have provided very useful tips to control the food wastage. This sounds like a very good strategy for reducing the food wastage. Smaller portions and control on the products is the answer of the problem with the food waste.